When it comes to wiring accessory replacement, a number of questions are often raised regarding the competence of those doing the task as well as the necessary testing required once the job is complete. This technical bulletin, written by Richard Giddings, ECA Technical Manager, addresses these questions and provides some best practice guidance that can be applied equally to both commercial and domestic locations. 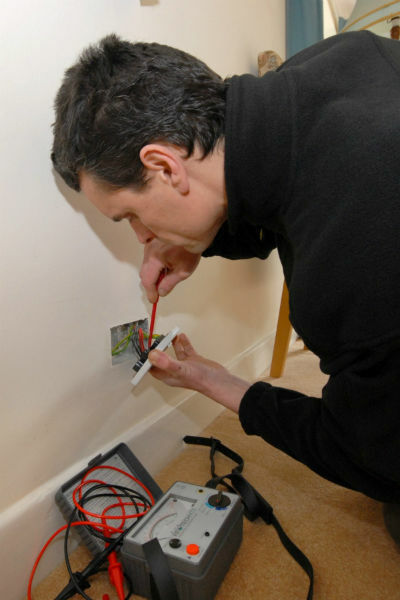 Often undertaken by semi-skilled operatives or fully qualified experienced practitioners, wiring accessory replacement is usually viewed as merely a ‘like for like’ change, of something already in service with the simplistic opinion that if somebody can use a screwdriver they should be able to copy a configuration which is already there in front of them. allege receiving an electric shock from the wiring accessory? Or perhaps, what if the wiring accessory was later implicated further in a fire situation? Consequently, unless basic testing and verification is undertaken as part of the accessory replacement, the person undertaking this seemingly simple task may eventually find themselves in a situation where they are liable and have a case to answer to. BS 7671 is unhelpful in this manner, in that there are no specific regulations regarding what needs to be done when carrying out such work. Indeed, BS 7671, under what it defines ‘Minor Works’ (together with its associated ‘Minor Electrical Installation Works Certificate’) also falls short with such work, as the BS 7671 definition of ‘Minor Works’ is, ‘work comprising an alteration or addition, that does not include the provision of a new circuit’. Under these definitions simple wiring accessory/light fitting replacement clearly falls outside the scope of BS 7671 – yet still, the liability remains on the person responsible for the work. It is worth remembering that under the Electricity at Work Regulations there is a requirement for persons undertaking any electrical work to be competent; be it new circuits, alterations or simple like for like changes. For this reason, ‘Best Practice’ within the industry would be to undertake basic checks and tests when carrying out the accessory replacement. If the circuit incorporates an RCD, testing in order to ensure it works to manufacturer’s specification. In order to protect liability, it stands to reason that such test results should be recorded somewhere. To facilitate this, some operatives or organisations elect to use the BS 7671 Minor Electrical Installation Works Certificate (even though such work is not by definition ‘Minor Works’) – this is good practice. Alternatively, other companies may have their own methods of recording such results, perhaps for example on their bespoke engineers’ job sheets – this is equally good practice. If work extends in replacing emergency light luminaries then this should also be recorded in the premises log book. If components, such as batteries are replaced then additional testing 24 hours after initial charging may be required. It should be remembered, that ‘like for like’ replacement or repair work has never been classed as notifiable work within dwellings under Approved Document P of the Building Regulations – and as such does not need registering or indeed use of a competent person Part P scheme. For further information and assistance please visit www.eca.co.uk where members and associates can benefit from unrivalled technical support across a whole range of electro technical activities.